A doctor meeting with their patient to discuss overall health. relationship. Your doctor looks out for you and your health to the best of their ability. That trust is established through accuracy of diagnoses and treatment. At Alpha Care in Charleston, SC, we take this very seriously. We encourage all patients or potential patients to be open, candid, and and to be an active participant in their health care. If so, what is the test for, and what will the results show me? Which hospital might fit my needs best? What will the recovery time look like? These are just a few great questions to really become an active participant in YOUR healthcare. 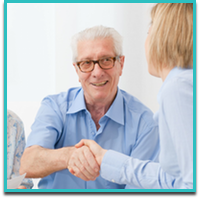 At Alpha Care in Charleston, SC we establish trusting relationships with our patients. Our goal is to continue to be the greater Charleston, SC areas best medical provider. We cover all general medical provider services, with specialties in Allergies, Whiplash, Chiropractic care, and Auto Accidents. For a consultation or to meet our incredible team, contact us today!